From developer Elias Limneos, jailbreak tweak Masks has been around for quite a while�it was first released in early 2011. And while I�ve used the tweak in the past, it�s only recently�after the release of circle-based icon themes like WhiteLine HD and Circul8*�that I woke up to one of the tweak�s great uses: as a simple way to unify and extend iOS icon themes. The issue with a lot of great themes is that they rarely manage to theme every icon for every user�consider how many apps there are in the app store, and it quickly becomes obvious that no theme developer could come up with the time to create new icons for all of them. Some try to include various workarounds to help with the issue, but the results are often less than stellar. Enter Masks. 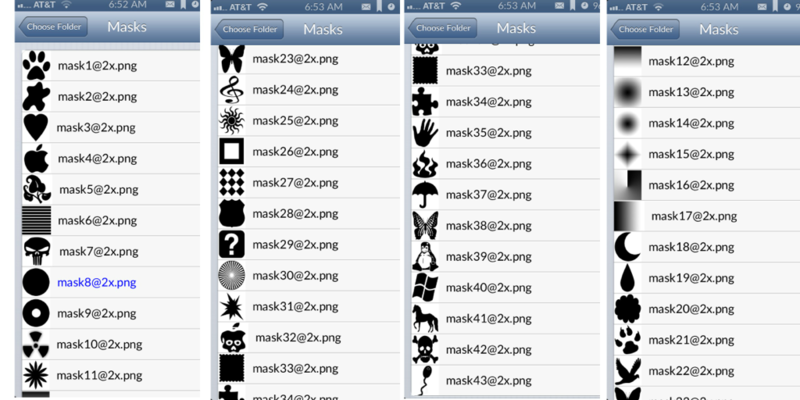 I�ve used the circular mask as an example, but the tweak comes with dozens of options, from simple circles, hearts, and squares to more complex masks like skulls, puzzle pieces, and even the Windows logo. And if none of those appeal, it also includes instructions on how to create custom masks. And by creating these system wide icon masks, Limneos has given jailbreakers a no-hassle way to help those unthemed icons blend in with the rest of the icons that have been themed by other developers. If you have any interest in iOS theming, give Masks a look. For such a straightforward tweak, you might find it more powerful�and useful�than you expected. It�s $1.99 in Cydia, and you can find it on the BigBoss repo. *Note on Circul8: this theme has a great option for a Full UI addition. To get it, the dev doesn't charge users, but asks them to donate to charity instead. If you check out Circul8 be sure to look into that option!